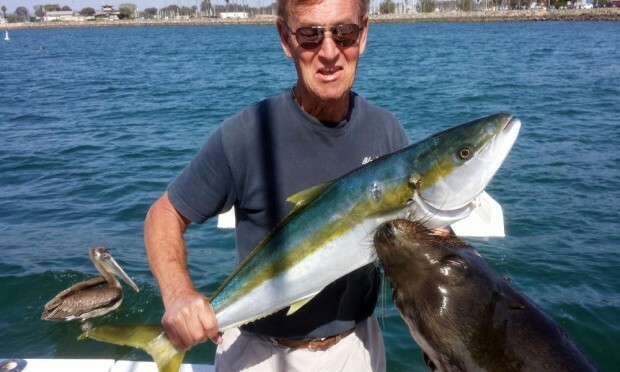 A San Diego man is still recovering more than three weeks after a sea lion leaped seven feet from the water, locked onto his hand holding a yellow-tail fish and yanked him overboard. Dan Carlin, 62, said that his wife had just told him to smile for the photo on their 29 foot boat when he was pulled overboard, smashed into the boat’s side, and taken some 20 feet underwater. Carlin says he thought he was going to die until he was released more than 15 seconds later. The sea lion bit him on his foot as he swam away.